We know that options create opportunities. 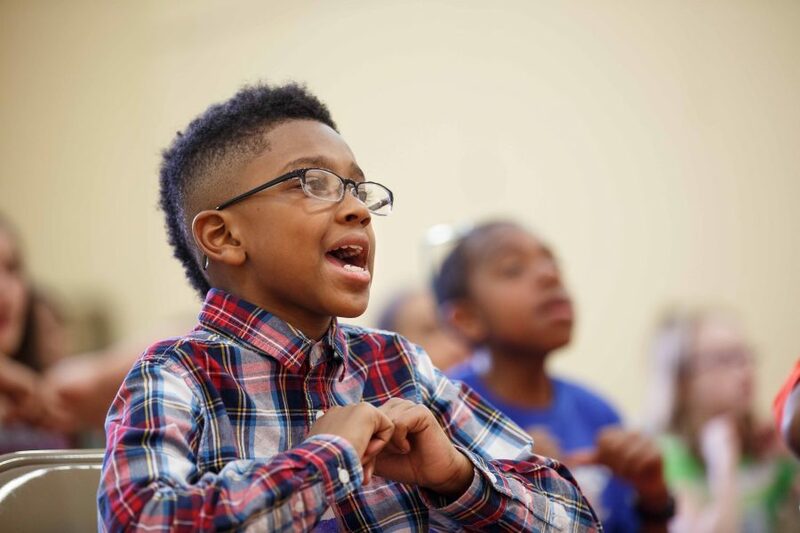 At our six locations, students can learn to play 25 different instruments, take group classes in jazz or dance, sing in choirs, explore music theory, experience creative arts therapy, and so much more. By providing more than $2 million in financial aid and scholarships each year to 60% of our students, we make certain that these options are accessible to everyone. We encourage all school age students with need to apply. Aid is available to students through completion of high school and through age 23 for voice students, in addition to adult clients of the Kardon Center for Arts Therapy. Financial Aid is based on need and family size, documented by an income tax statement or other proof of income presented at the time of application, and results in a reduced fee for one individual lesson and any number of classes per student. Recipients must maintain reasonable progress and attendance, perform at least once during the year and audition for Certification. Scholarships are based on achievement, and result in 15 minutes extended lesson time for one individual lesson per student at no additional fee. Scholarships are available after the first year of study at Settlement to continuing students recommended by their teachers who successfully complete an audition for the Branch Director, CEO and Director of Education. Recipients must maintain superior progress and attendance, perform at a performance hour at least once during the year and audition for Certification. Because these requirements can prove difficult for very young children, Settlement does not award scholarships to children under the age of ten. Students may be recommended to participate in Certification by their teacher at the appropriate level of achievement, according to the School’s curriculum.